There is no other game like Football Manager. Nothing that crosses the boundaries between reality and simulation quite like Sports Interactive’s singular management sim. Even to just pigeonhole it as a management sim is sailing perilously close to doing it a disservice; to its fans it’s as much an RPG as anything else. 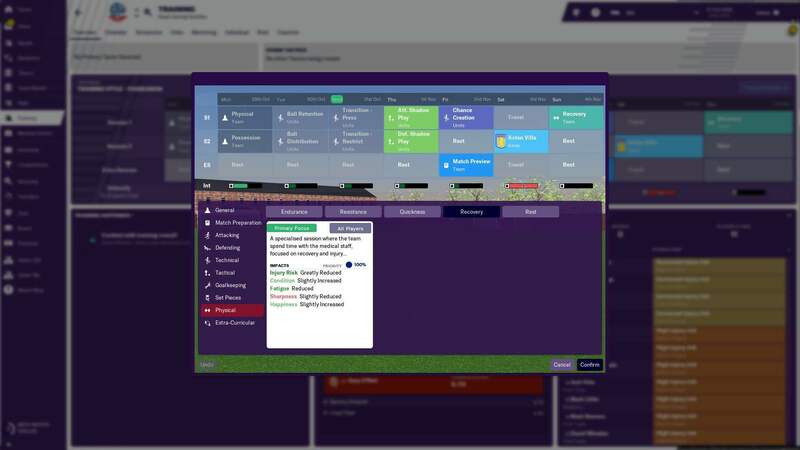 There are those who will dismiss Football Manager 2019 – and, indeed, its forebears – purely as a series of spreadsheets. But to do so is to ignore the oft-told tales of players dressing up in suits while they watch with pride as their team takes to the Wembley pitch for a cup or playoff final; dropping out of University because they had to play one more game; or sending virtual CVs to real clubs with management vacancies. The passion and pain the little computer people hoofing balls around your screen can illicit is as powerful as anything you might feel from a ‘real’ game. But that slight blurring of the lines between sim and reality is not really what I’m talking about here. This is a game which influences football as much as football is influenced by it. For all of the Harry Kanes playing Fortnite, or Messis showing off playing the latest FIFA, in hotels and on away coaches across the land there will be professional footballers playing Football Manager. Hell, even professional managers will be, too. That’s especially true, and arguably more important, in the lower echelons of professional football – in the clubs which can’t afford to have scouts placed in every division in the land, around Europe and South America, watching matches from the first through to the U23 and U18 teams. These are the real beneficiaries of the vast scouting network that Sports Interactive has built over the years of making both Championship Manager with Domark and Eidos, and then Football Manager with SEGA. And, since 2004, SI has been making a new version of the game, like clockwork, every single year. As the trees are shedding their leaves, and the cold comes to bite your face off the instant you step outside, a new Football Manager will arrive. Sometimes the latest yearly release has been a triumph, sometimes it feels little more than a barely iterative roster update. And, on occasion, it’s a dumpster fire full of roasted bugs. 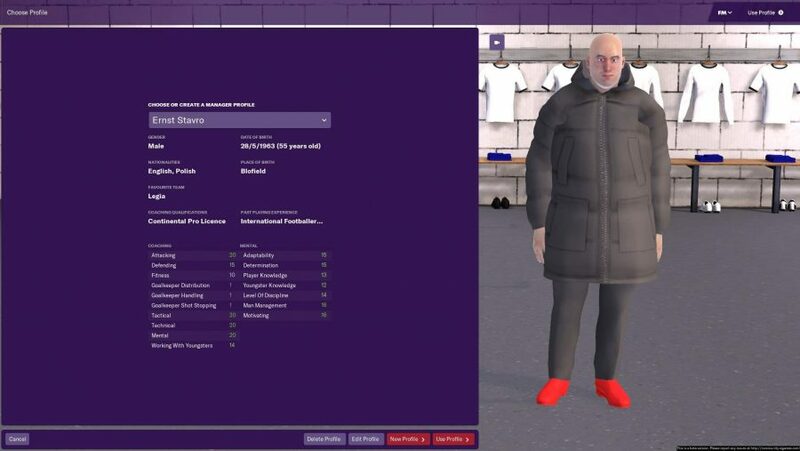 So how does Football Manager 2019 stack up this year? Well, it’s no dumpster fire, that’s for sure. And there are enough new features and match engine updates that it doesn’t just feel like a mere update. In fact, I’d go as far to say that I think this year’s iteration is the strongest a new version of the game has ever felt on day one. The review code I’ve been testing is the same beta code which has been available to those who pre-ordered the game, and as such it’s been getting a good going over by the community. Of course there are always going to be a few beta issues in a game that spans so many different countries, and is played on so many different levels of PC hardware, but SI has only dropped a couple of hotfix updates throughout early testing. There have been years where the game was borderline unplayable at launch, with one iteration in particular a frustrating mess until an overtime Christmas Eve update saved the day. The members of the Football Manager 2019 team look like they’re going to have a more relaxed festive period this year. The issues that do exist all seem to emerge from the usual balancing act of trying to juggle 22 players, all of which are making a decision up to eight times a second within the comprehensive match engine. Sometimes it’s a little off. This year, for example, there seem to be a lot of conceded penalties – in one of my early careers I had at least one penalty in every match for the first month or so, and in one particular pre-season friendly there were five in ninety minutes. That’s not the record, though – I’ve seen reports of up to six penalties during a single game in the forums. That feels like a bug that will be quickly squashed, though there are also legacy issues which come about as a result of building upon the same foundations SI has used for the game over the last few years. Defenders will still, unchallenged, opt to hoof the ball out for a corner rather than knock it out for a throw-in, or welly it up the pitch. And if a player misses a penalty they are still unable to react to the rebound – even if it trickles back through their legs. And the sound. Goodness, that audio design is still a struggle. I’m not talking Clive Tyldesley days of Championship Manager commentary bad, but I can’t imagine any player opting to leave the match sound on. Sometimes, despite 30,000 digital fans packing a space smaller than a Sainsbury’s car park, they will go from speaker-rattling roar to utterly, deathly silent in a heartbeat. And that silence will be punctuated only by the weak thup-thup of a solitary foot balling a ball around the pitch. VAR and goal line technology has been properly implemented this year, partly because of the World Cup, but mostly because of the introduction of the new Bundesliga license. But these are things we’ve dealt with for years, and anyone familiar with last year’s game will have already internalised those issues. And the new features and feel of Football Manager 2019 outweigh any bug or legacy problem I’ve experienced. The match engine, for example, initially feels like little different, but after spending a little time with it you’ll notice that there is more bend and whip on the ball than before, and more nuanced play by the wee AI people on the pitch. If one is in an offside position, for example, they will now stop and allow another player who wasn’t to grab the ball in their stead. That never happened last year, and instils a renewed sense of confidence in your players. 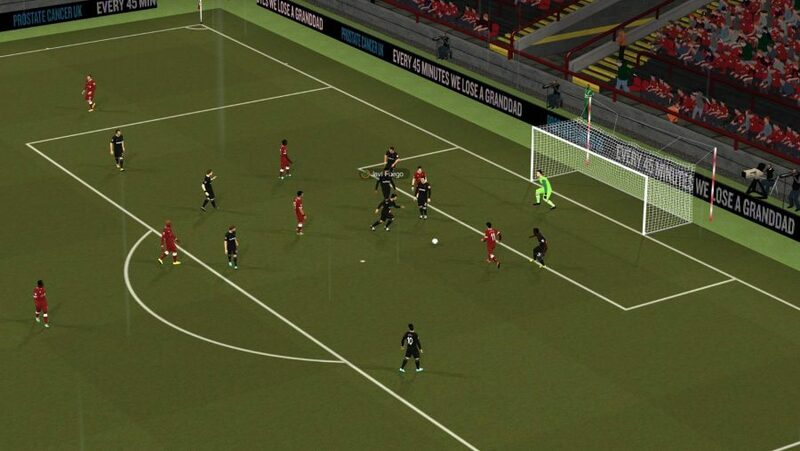 At its heart, however, Football Manager 19 is all about visibility. This year’s game continues the trend of exposing the manager – that’s you – to ever more information to make your job easier. There’s so much going on behind the scenes, underneath the spreadsheets and glossy veneer, that it can be tough to parse just what your decisions, strategies, and tactics might have on the club and your players. 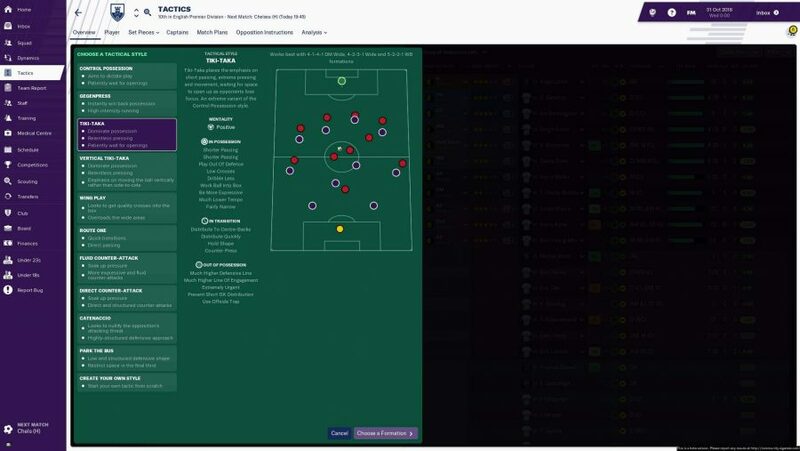 To that end there’s a whole new introductory layer at the start of your FM career, aimed at familiarising newcomers and old-hands alike with the most important parts of the game. This time around, that happens to be the new tactics setup and the revamped training schedules. SI has split the tactics up to allow them to be even more granular, and give you ultimate control over exactly how you want your team to play in both defence and attack. It’s a setup that runs the risk of being massively intimidating for new players, but the problem is largely mitigated by the new playing style templates that have been introduced this year. Want your team to use a high-pressure, high-pressing tactic like Guardiola’s Man City? Then select the Gegenpress… and hope you have players good enough, or fit enough, to cope. That’s where the new training system comes in. 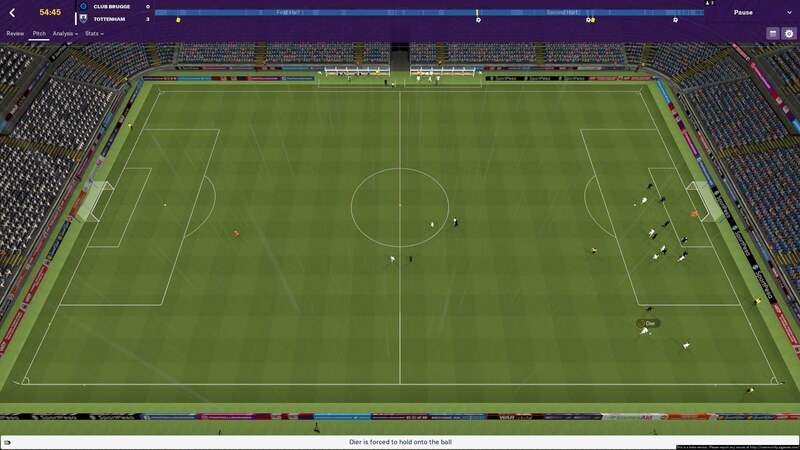 Training in FM has historically swung between comically ineffectual and utterly impenetrable, but in Football Manager 2019 SI has created a training system which is relatively simple on the surface and incredibly deep if you want to get fully involved. You can, of course, leave your assistant to look after everything, but tinkering is easy, intuitive, and will be rewarded if you do it right. The most interesting thing about the new setup is how it comes tailored to your tactics. The two are almost inseparable, which means the way you want your team to play becomes an ethos which runs through your club like Brighton through rock or the great John McGinlay through a static Wolves defence. What a guy. I still wish there was more of a relationship between the tactics, training, and match engine components outside of playing games, however. Being able to create set piece strategies, and to run through them in the match engine in training, would allow you to better gauge their potential success. As would being able to drill potential corner, free kick, or penalty takers in-engine before an actual match. That was about the only thing the non-SI Championship Manager game got right, and it’s something I’d love to see in future iterations of FM. Emma Hayes is the first British female manager of a women's team to be added into the FM database. Hayes is one of the most successful female managers, but is still the only one in the game. Unfortunately simulating the WSL as a whole is still a way off, and not yet "financially viable" for SI to add. Back on surface level, Sports Interactive has also overhauled the look of the game this year, making those spreadsheet screens a little more readable without losing any information. It’s not a radical departure, and will be immediately familiar to returning players, but it’s a welcome tidy up. You still don’t get the full licenses that come with FIFA’s smaller database, but the Bundesliga has finally been added after many years of license wrangling, and fixing the game with real kits – on and off the pitch – and facepacks takes no time at all. 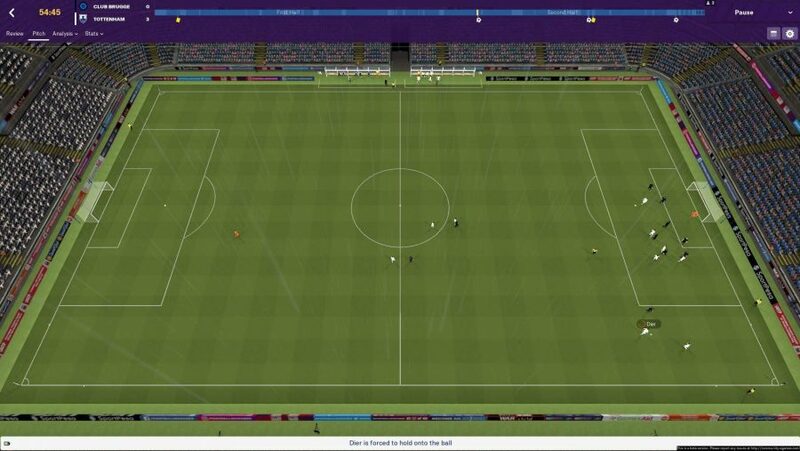 All in all, this is the best Football Manager SI has created. No small feat, when the studio releases a new version each Autumn. The temptation to fix what isn’t broken, purely to look and feel new, must be hard to contend with on a company wide basis. But SI has stuck to its guns, kept things solid where it needed no change, and revamped places in desperate need of it. 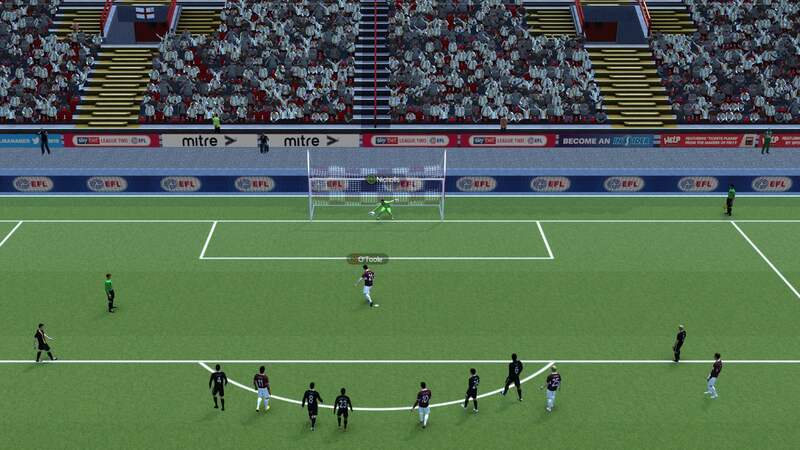 There will be updates and bug fixing patches over the next few months, but right now Football Manager 2019 represents the series’ most confident launch ever. Sports Interactive has exposed more of the game’s workings to players than ever. It feels both fresh and familiar at the same time, while being the best FM has ever played on day one.